The Marvel vs. DC feud has just gotten a lot more heated. If you haven't been living under a rock for the last, say, ten years, you are well aware that Marvel Studios basically runs the entire universe. Their superhero films are among some of the most successful blockbusters of all time and have broken all kinds of records. With Black Panther and Avengers: Infinity War fresh in our minds, we look ahead to how Marvel will shape the Hollywood film industry with their next flicks. Rivaling company DC Films hasn't done so badly themselves although their success has been seriously undermined by Marvel's take-over. 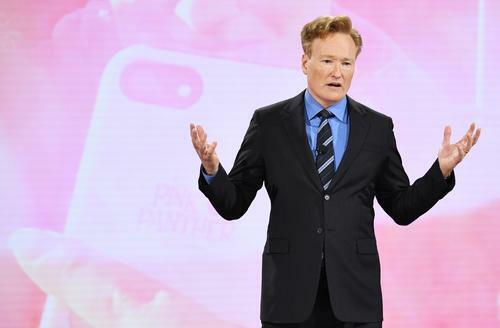 Envisioning the feud between both film studios as a high school cafeteria fight, Conan O'Brien brought some of his comedic charm to San Diego Comic-Con for a hilarious sketch involving Batman. Batman is one of the characters that has fascinated many from DC's line-up but would things be any different if he were a Marvel character? In a skit performed as part of Comic-Con, Conan played Batman as a superhero who just wants to fit in with the cool kids, hoping to earn a spot at Marvel's table in the cafeteria. Although things don't necessarily go as he planned, the crew get in about six minutes of joke-filled action, offering a whole new realm of ridiculousness to the feud between Marvel and DC's universes. With so much goodness coming out of Comic-Con, the next few days will be filled with some of the most valuable news about shows and films we've been keeping our eye on for months. Check out the sketch below. Jennifer Lopez Sounds Off On Donald Trump's Border Policy: Silence "Is Not An Option"